2017 was great but we're looking forward to an even better 2018. And here are some of the things we've fallen in love with, and we think you will too. A true wonder, this liquid-solid Thinking Putty will flow completely into a puddle on its own. It's clear in the tin, cloudy when played with, and offers a window into your own creativity. There's tons of knockoffs out there, but this one is the original—the best. A mom must have. This is the original car seat, shopping cart, and nursing cover in one. Soft, stretchy, and cute. Best of all—moms love them. Family-friendly, safe, and soothing products made with natural and organic ingredients. From sunscreen to shampoo to body wash, this is a great skin care line for the whole family. These cuties are designed in the US and handmade in Peru. They're made by hand with 100% natural fibres. 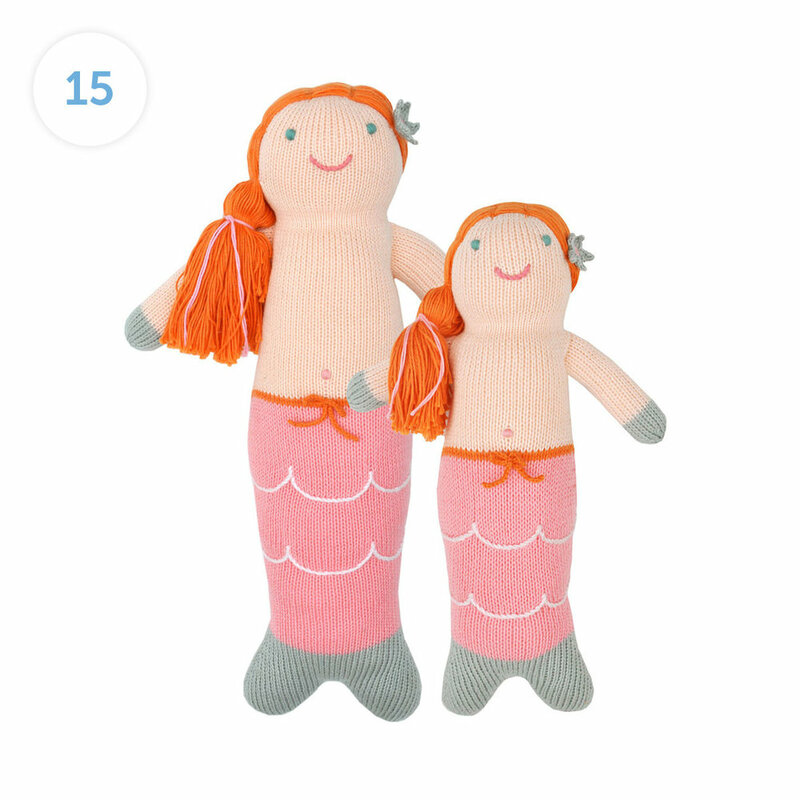 These beautiful dolls are patiently knitted by very skilled artisans, one stitch at a time, one day at a time, making each one a touch unique from the next. By mixing vintage-inspired prints with colourful creativity, Australian brand Paper Wings clothing is playful and full of fantasy. Who doesn’t love a local brand? Posh Panda is a small business run by a mother of two. Yup, that's one mama making you handmade mocs and accessories from the softest, highest quality genuine leathers. These are seriously the best. We carry children's styles, but keep your eyes peeled for adult ones this spring! These are diaper bags done right—backpacks that make "momming" way easier. Their soft fleece loungewear makes for the ULTIMATE sleepover parties and summer camps. Mix or match with your all your BFFs! What can we even say about Kickee Pants? Well this, actually—they're among the best sleepers out there. Definitely check out our new spring anniversary collection. They're in the shop now! You'll never be on the hunt for a dropped pacifier again. Wubbanub is a soft plush toy attached to a pacifier, making it easy for baby to grasp and easy for moms to find, too. Local love for Justine! Her calligraphy is second to none. And we've got more than just cake toppers—cards, onesies, and more great stuff. These mats smile right back at you and make eating easy. These silicon mats stick to the table or countertop, making it nearly impossible to be pulled off! This is the easiest bath tub ever because you can take it anywhere! They're made from a soft foam that folds and conforms to almost any sink and cradles your baby during bath time. These charming Danish-designed toys were created to inspire our children’s favourite playtime stories by bringing storybook whimsy to everyday moments. 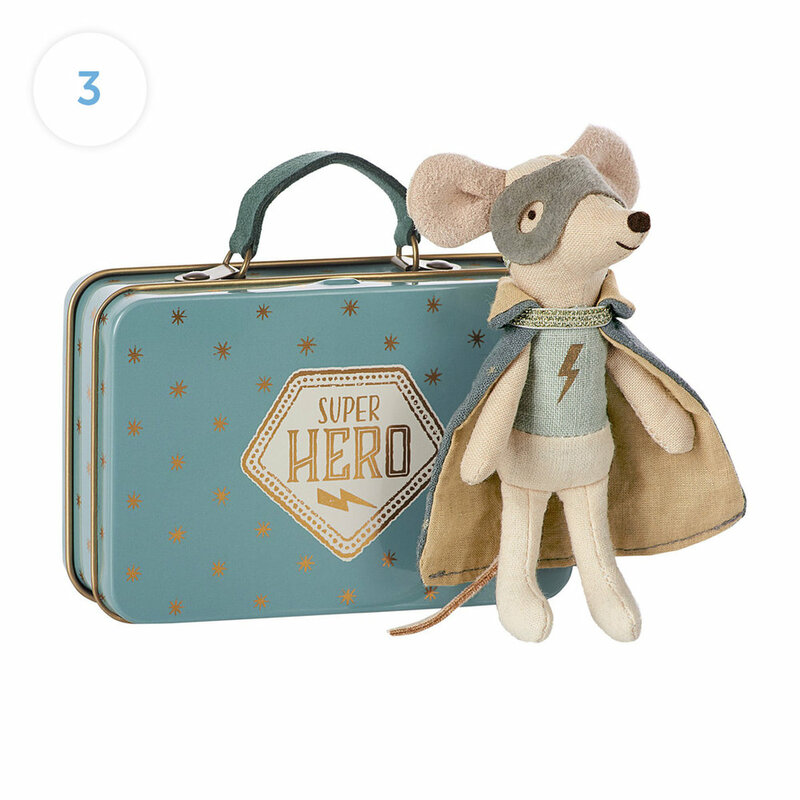 Their most popular piece is mouse in a matchbox, but there are tons of other nostalgic pieces to collect. These are amazing. Why? Because they're a suitcase and bed in one. Your child will love riding them through airports, but better yet is what they do on the plane. Once you're aboard, unfold and your little one will have no trouble relaxing and sleeping at all!